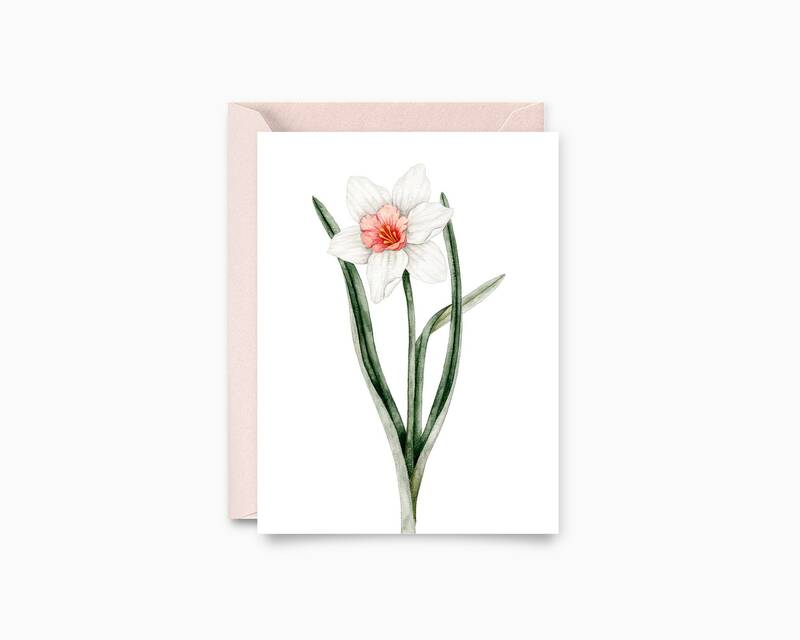 Floral greeting card for any occasion! Perfect for a birthday, Valentine, mother's day, a wedding or a birth! Botanical illustration of a Daffodil. Watercolor illustration.